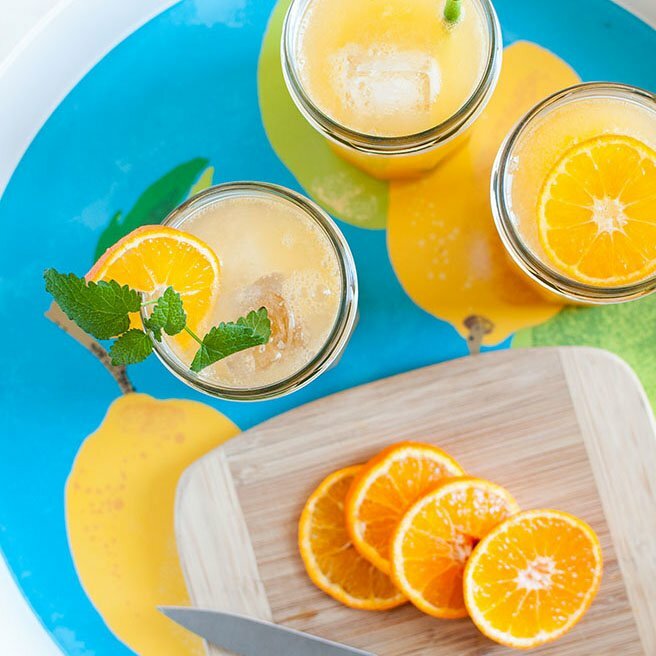 Combine the clementine juice, lime juice and simple syrup in a large shaker with ice. Shake vigorously and strain into 6 ice filled glass. Top each glass with 2 ounces club soda and stir. Garnish with a slice of clementine in the glass.